Are you in Andover, MN and in need of pest control services? Are bugs taking control of your residential or commercial property? Get them out fast with the help of Eco Tech! Beetles, Millipedes and Roaches – O My! No matter what pest is bugging you we can take care of all of them for you. Our methods are effective and we offer either traditional or organic removal services. In the United States there are more than 12,000 different species of beetles. They lay between dozens to hundreds of eggs, depending on what type is sharing your property with you. 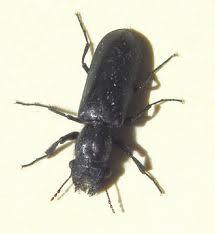 Beetles easily adapt to their environment and can be both beneficial and harmful to it. There is no reason that you need to share your living or working space with beetles, regardless of species or the amount. Contact Eco Tech and we can make your nightmare a thing of the past with our beetle extermination services. Six legs is enough to creep anyone out but when there are 30 or more on a little creature it can easily send chills up the spine. Millipedes come in many colors, lengths and sizes but they all share an abundance of legs. Usually millipedes are not out in the open, they live a slow paced life and are usually noticed after moving furniture or lifting something that has been stationary for a while. A female millipede can lay over 100 eggs, that’s a lot of legs and they can live up to seven years…You might not want them visiting for quite that long, so call Eco Tech and we will control your indoor Millipede population. No one wants bugs, especially not if you’re in the food industry and especially not roaches! Unless your roach farming, then by all means close the doors to your restaurant. Roaches are dirty bugs and if you’re not intentionally farming them you will want them gone ASAP. They are known to carry diseases and can run up to 3 miles in one hour…talk about germ spreading at high speeds. Don’t risk the health of your family or coworkers, contact our roach extermination professionals today. We are experienced and have pest control services that are effective for any bug your property encounters. If you are in need of our services don’t hesitate to call. We have an emergency line for 24/7/365 extermination or a regular business line for bug issues not that pressing. Call (763) 785-1414 for regular pest control services or (763) 232-7296 for emergency pest control now!